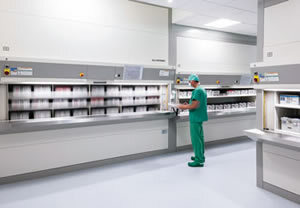 Many hospitals in the United States are using automated vertical storage carousels to increase available space and securely store confidential and sensitive materials. 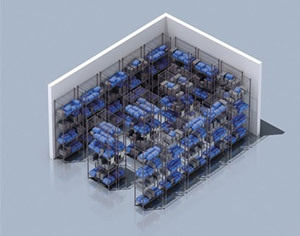 Hospitals have dramatically increased their available space because of how the automated vertical storage carousel can make use of vertical space that many competitors in their industry fail to utilize. This product can be customized to be easier used by the disabled. Sterile Processing Departments have updated their facilities by adding a vertical storage carousel. Many sterile processing departments prefer this product because will keep their storage very organized. The machine will constantly monitor the inventory and warn you when items are low. It also monitors the expiration dates, which can be a huge help in saving time and money. 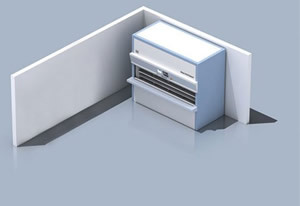 Each of the trays are specifically designed so the product cannot be stacked on top of each other, this will prevent clutter or items buried behind others. Probably the most important feature a vertical storage carousel can offer is the locking mechanisms and access code entry. Most administrative offices use the vertical storage carousel keep their patient files, consent forms, and more. The machine can be upgraded to a fire protected system. Pharmacies and hospitals rely on the unique security a vertical storage carousel can provide.